YKP (Young, Keen and Penniless): Canon unveil the EOS 5D Mark 3 !! 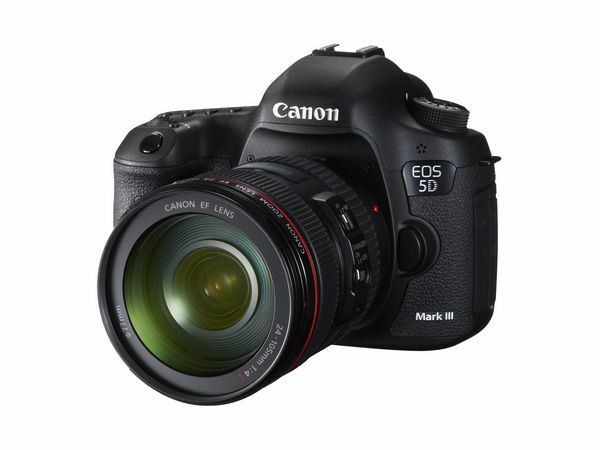 So after much speculation and rumour Canon finally announced the 5D mark III which, I'm particularly enthusiastic to note, looks to be designed as pretty much a full frame 7D. Considering the release of the Nikon D800 and Canon's own 1DX, not to mention that the 5D mark II is nearly 4 years old, it is not surprising to see this newcomer. Some key features include a 22mp full frame sensor, 1.04 million dot 3.2in LCD, improved AF, 100% viewfinder coverage, up to 6fps shooting, 61 point AF system, DIGIC 5+ processor, duel card slots (1x CF, 1x SD) built-in HDR mode, ISO 50-102,400 and of course full HD movies. Also borrowed from the EOS 1DX is a touch-sensitive rear control wheel.